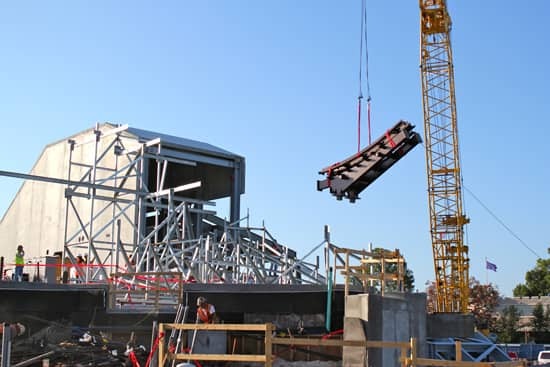 Earlier this month, our friends at Walt Disney Imagineering celebrated a milestone in the New Fantasyland expansion with the laying of the first piece of track in the Seven Dwarfs Mine Train attraction. 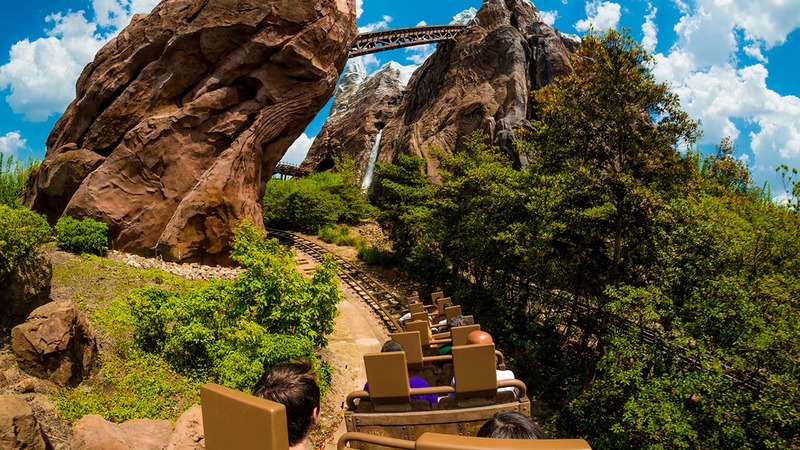 The attraction, which is set to open in the park in 2014, will take Magic Kingdom Park guests on a musical ride into the mine “where a million diamonds shine.” The coaster will feature an innovative ride system with a train of vehicles that swing and respond to every twist and turn of the track. The journey will be accompanied by music from the classic Disney film and animated figures of Snow White and the Dwarfs. And just a reminder for you fans of “Once Upon A Time” – season two returns to ABC this Sunday at 8/7c. can’t wait it looks awesome already! Is all of Fantasyland closed? Any rides open? Jennifer, I thought Pixie Hollow with Tinkerbell & the fairies was also coming to Fantasyland yet you did not mention this in your description. Is it going to be part of Princess Fairytale Hall? 2014 seems like such a long time for the New Fantasyland to be complete. Our family can only afford a trip to Disney World every two years. We were due to go next summer 2013 but may wait until the Mine Train and all of Fantasyland is complete. I’m sure it will be worth the wait! Timothy – Keep in mind that as of December there will be only two things still left to complete in New Fantasyland – Princess Fairytale Hall (2013) and Seven Dwarfs Mine Train (2014). A good part of Storybook Circus has already debuted (“doubled” Dumbo, Goofini, Casey Jr.), and New Fantasyland offerings Enchanted Tales w/Belle, Gaston’s Tavern, Be Our Guest Restaurant and Under the Sea ~ Journey of The Little Mermaid will open this December. I had seen this last week during Mickey’s Not So Scary Halloween Party. I’m curious to know how long this attractions length is (time wise) and will there be an interactive queue? I’m excited nonetheless! We hope to have more details on the attraction to share soon. Keep checking back! So is this going to be a roller coaster or one like Snow White’s Scary Adventure? Super excited!! Hi ince they have started laying the track any ideas off an opening time?? roughly??? All we know at this time is 2014. Keep checking back. As soon as we know, we’ll post it. Is there an estimated completion date for 2014? We will be there in April, I would love to go on this ride then! No opening date has been announced yet. The mine train ride is the part of the new Fantasyland expansion I am looking forward to the most! And we can’t wait for the return of Once Upon a Time at our house- it’s our favorite show! Sounds like this was the update for you!